Well. Where do we begin. 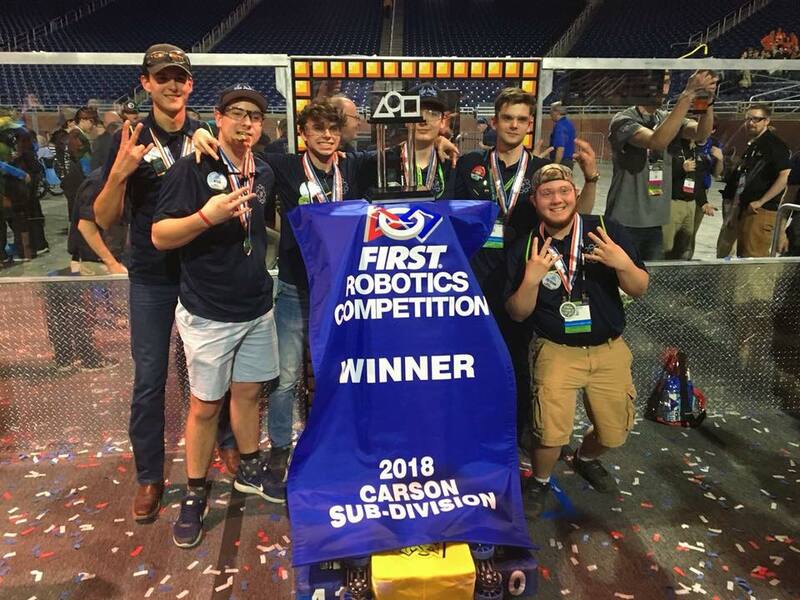 Team 4130 competed at the World Championship in Detroit this weekend. We were on the Carson Division and were selected to be a part of the #2 Alliance consisting of the Thunder Chickens, Comets Robotics, and That One Team. We were fortunate enough to win our division and move on to the round-robin Einstein tournament still held at Cobo Hall. 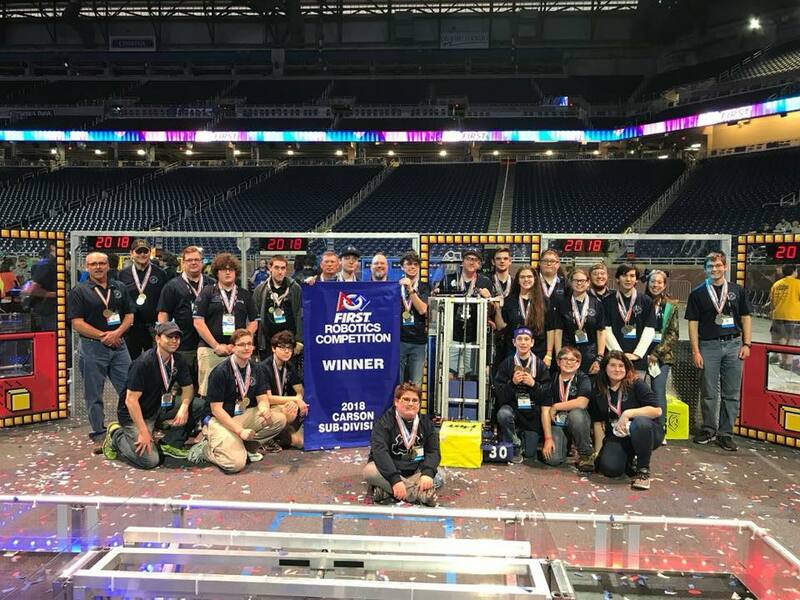 From there, our alliance played every other division, and then two alliances moved on to the Einstein Finals at Ford Field. Fortunately, we were one of those alliances. Team 4130 was going to compete for a World Championship. Upon arriving to Ford Field, each team was announced. 6 of the 8 teams that were in the Einstein Finals were from Michigan. Unfortunately, our alliance lost to the reigning World Champions, also from Michigan, and we walked out as a World Champion Finalist. It was an amazing experience for our team and we hope there is more to come. Team 4130 was ranked 2nd at the Waterford District going into the elimination rounds. We were the #2 Alliance Captain, and selected team 68 Truck Town Thunder, and Team 5048 Spartronics. After sweeping through the quarterfinals, as the Captain we felt that we need to call in the backup robot for 5048 as they were having joystick problems. Team 3668 the TroBots was the team that was called in and they did a phenomenal job! We lost our first semi final match, came back and pushed to a rubber match by winning the second, and lost by a short amount in the third match. 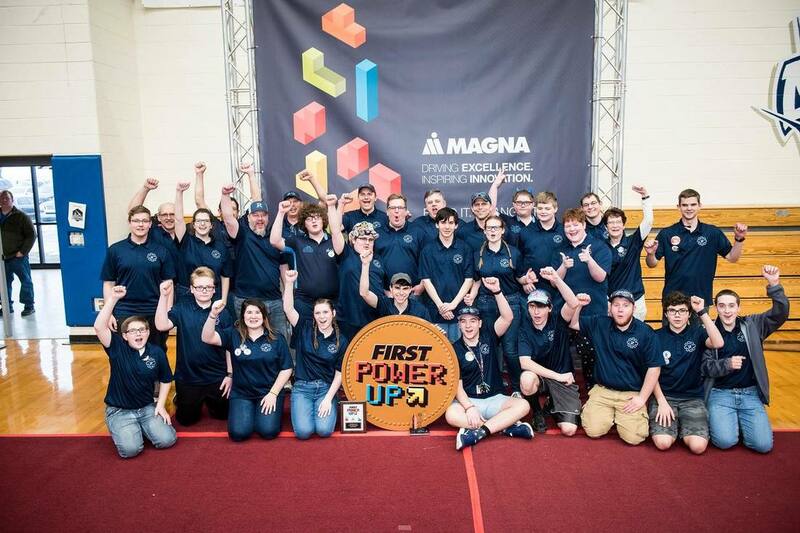 We also were awarded with the Judges Award for robot versatility to interact with teammates and a cool robot name (the guillotine) and ended the day with 51 district ranking points, and currently ranked 35th in the state of Michigan out of 500 robotics team. Can’t wait to compete at Marysville to push our ticket to the state championship at Saginaw Valley State University.